The Containment TV show was cancelled after one season of 13 episodes on The CW, but the stars will shine on. 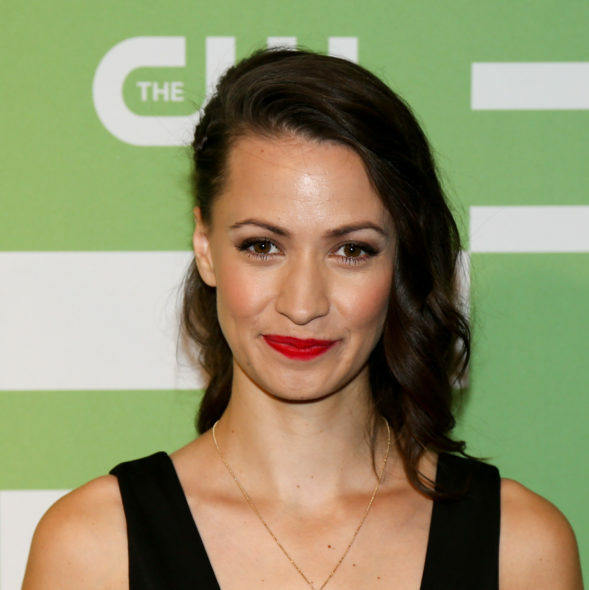 Entertainment Weekly reports Kristen Gutoskie (pictured above) and Christina Moses (pictured below) will recur on Julie Plec’s series’ The Vampire Diaries and its spin-off, The Originals, respectively. Per EW, Gutoskie, who played Katie on Containment, joins the eighth season of The Vampire Diaries TV show as Seline. Moses, who played Jana on Containment, has been cast as Keeling, in the fourth season of The Originals TV series. Gutoskie, who plays Katie on Containment, will joins The Vampire Diaries’ eighth season as Seline. The official character description says she’s “a warm, nurturing nanny of two young kids by day, and a small-town girl trying to find her place in a dangerous world by night. Bonded to her new ‘family’ in ways she can’t explain, Seline will fight desperately to protect the ones she loves.” Gutoskie will launch her recurring role in the first episode of season 8. As for Moses, who plays Jana on Containment, she joins The Originals for its fourth season as Keelin, who’s described as “a smart, strong resourceful ER doctor — and the last living werewolf of her line. Keelin is openly bisexual, warm and unguarded by nature; but after the rest of her family was hunted to extinction, she went into hiding and since then she’s deliberately avoided getting too close to anyone. She lives in fear of being discovered by the wrong people and has no idea that she’s currently on a collision course with the Mikaelsons.” Moses will recur beginning with episode 401. The CW has announced The Vampire Diaries returns Friday, October 21, 2016, at 8:00pm. The Originals will return in the mid-season, in 2017. More about: Containment, Containment: canceled or renewed?, The Originals, The Originals: canceled or renewed?, The Vampire Diaries, The Vampire Diaries: canceled or renewed? their respective characters in tvd and to are pretty similar to the characters they have to portray in containment. sounds like seline is going to nanny caroline’s kids. So I’m guessing some contracts have to be fulfilled.